Now that you have become comfortable flying a trainer kite, it is time to being your kiteboard lessons with an instructor. Our professional instruction is one on one, not a class format. This ensures you get the most out of your time and your money, you get all the safety and practical instruction to learn this most amazing sport quickly and safely. 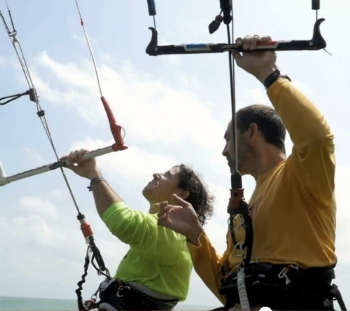 This 3 hour beginner lesson includes all kite gear specific for your size and weight. 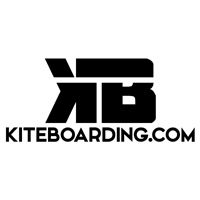 Here at Kiteboarding.com we are proud to offer a variety of lessons in Corpus Christi, Texas, from beginner lessons to learn kite safety and general riding to advanced hourly lessons to learn new tricks. Corpus Christi, Texas offers steady warm winds almost all year around (average is about 280 days of the year), and with plenty of hotels to choose from Corpus Christi serves as a perfect kiteboarding destination for any kiteboarder. From March to November no wetsuit necessary. We've been teaching for over 9 years, and have perfected the lesson experience. Come see for yourself and learn with us today. ALL GEAR is provided with the exception of water shoes and wetsuits (winter months). Group Lessons are available upon request and instructor availability. Please call for pricing and availability. I learned everything I needed to learn in this 3 hours! I felt very comfortable and safe with the instructor, and was able to get up and riding by the end of the lesson! This is a must for any aspiring kiteboarder.